Rumfahren - Transport Fairändern about the 2013 "Rumride"
How to take Cargo from the Carribean to East Germany emission free. 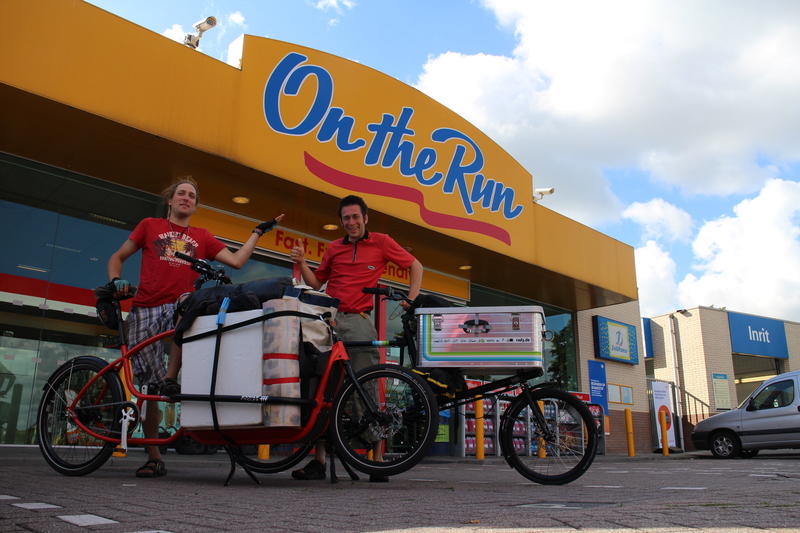 Rum-toting long distance cargo bikes form the final link in a fossil fuel free transport chain from the Carribean to Leipzig in Germany, as ‘Rum Ride’ cyclist Eric Poscher from Germany reports. Cargo bikes offer all sorts of opportunities to make everyday life easier, to fetch and carry all you need and to show that compared to car travel, urban mobility can actually be fun. 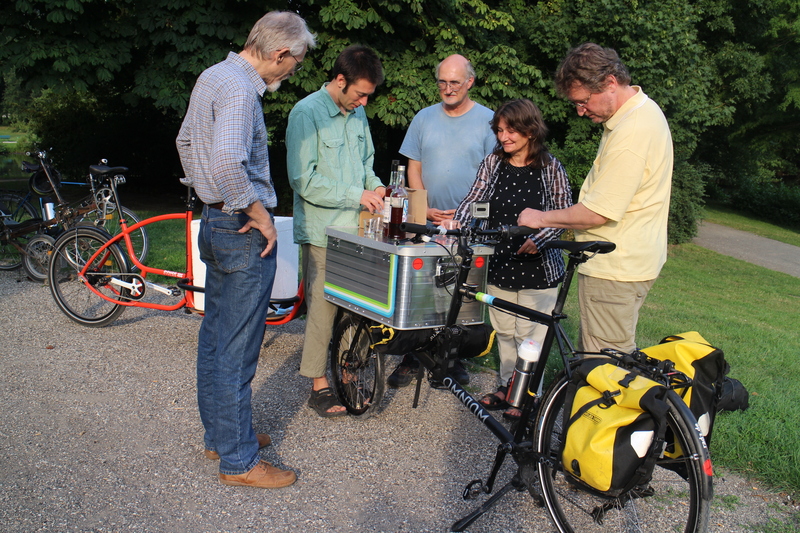 Just as on a recumbent, you get varying reactions: young people often find the bike cool, the pampered want to be carried around, and others ask how many crates of beer the bike can carry. But even though more sporty models have now appeared on the market, and despite an increasing number of cargo bike race events, the cargo bike is seen mostly as a vehicle for city use, and to date, it hasn’t really been taken seriously for touring or long distance riding. A good time, then, to change some minds! 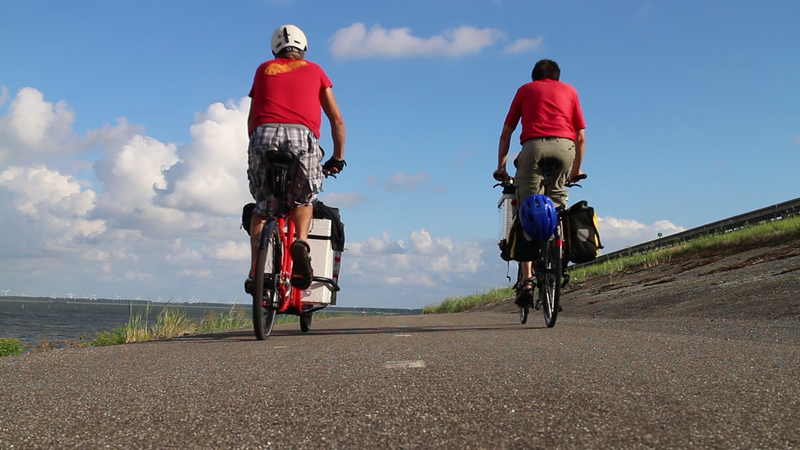 My friend Salomon Krug and I decided to make a statement about cargo cycling – and the environment – by taking our bikes on a special tour. 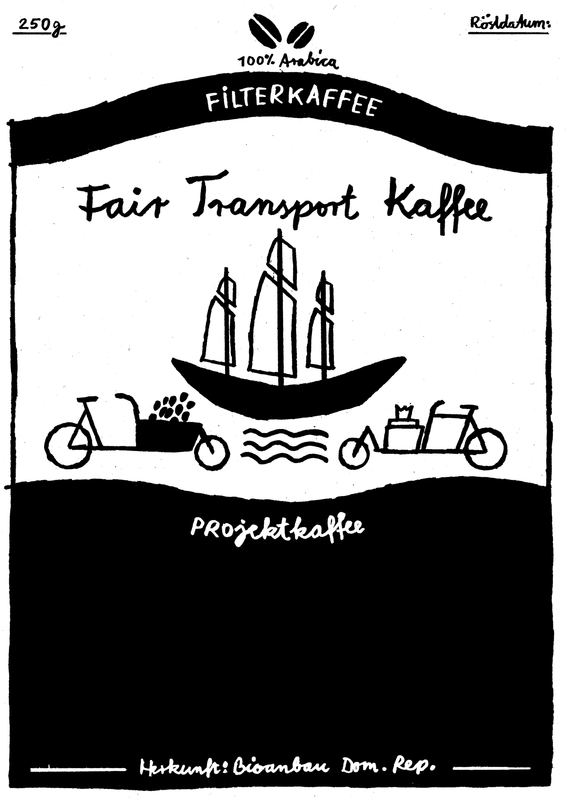 While some of us in Germany are seeking, by means of cycling, to help accelerate the transitions of transport and energy to a more sustainable basis, many of the products which we happily consume arrive to us in container ships: coffee, chocolate, smartphones and indeed bikes. Yet the ecological impacts of ship transport are not widely debated, despite the fact that the sulphur emissions of the sixteen largest ships equal those of all cars worldwide. There is, however, a Dutch organisation called Fairtransport which operates the ‘Tres Hombres’, the world’s only operating transport sailing ship. For the last three years this schooner brig has been bringing kegs of rum, organic cocoa beans, chocolate and more from the Dominican Republic to Amsterdam, after which the goods are marketed as ‘Fair Transported’. So it was the obvious next step, it seemed to us, to carry on the ‘fair transport’ by land, and to convey part of the consignment on to Germany by cargo bike. This would be our Rum Ride, ‘Rumfahren’, german short for herumfahren literally meaning riding around. A payload of around 40-50 kg per bike seemed manageable, although it would still be a challenge to cover over 700 km in one week. We chose the relatively sporty Omnium Cargo from Denmark with the load area over the front wheel, and the Douze Messenger from France, bringing the latest technology to the classic Long John layout. Both bikes have steel frames and are relatively new on the cargo bike market. We equipped them with padded and insulated boxes to keep the foodstuffs in good condition. We set off in mid August, and the first stages were flat, along the dykes of the Netherlands, below sea level through Flevoland and through the sand dunes along smooth Dutch cycle ways. In contrast, once we’d crossed the border the rum was well rattled by some of our German bike paths. It was only when we reached the Teutoburg Forest that the extra weight of the payload became noticeable. We stayed overnight with kind hosts from the Warmshowers list or with friends, as well as one night out in the open. 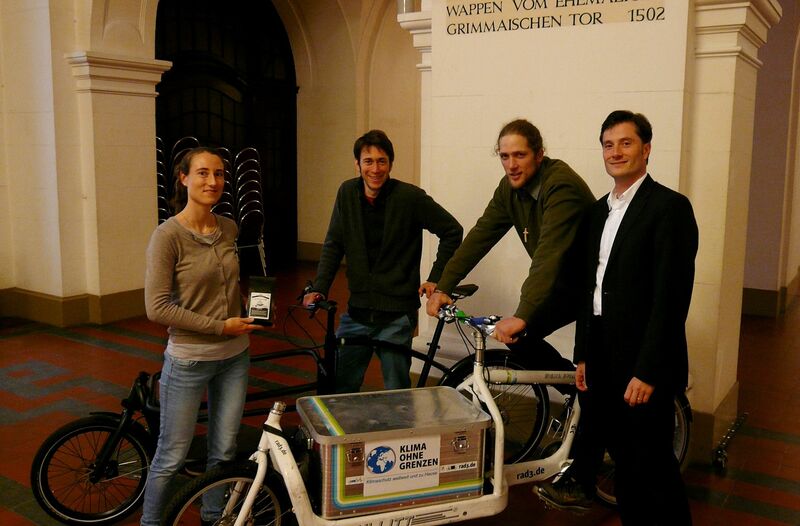 Quite respectable daily distances of 90 to 120 km proved possible with the cargo bikes. On the final stage of over 60 km we managed an average of 25.4 km/h. 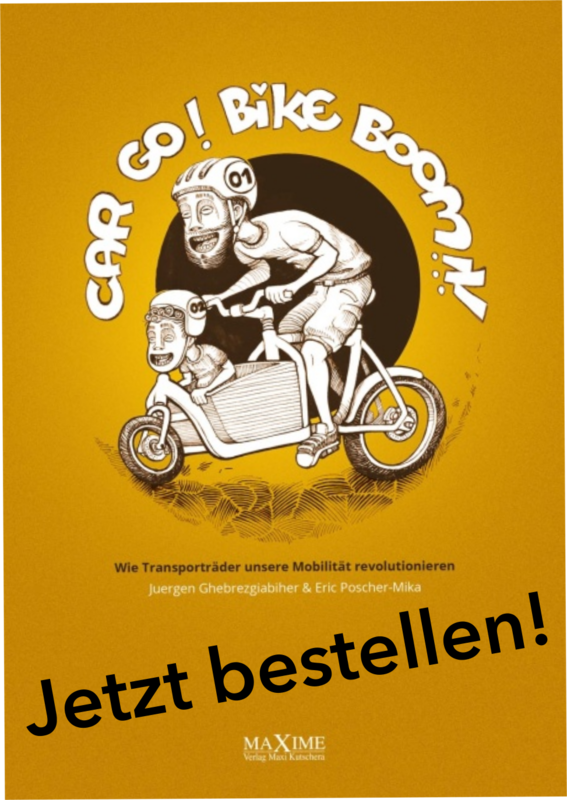 So it seems that cargo bikes are perfectly capable even over longer distances: the total from Amsterdam to Leipzig was 863 km. The rum and chocolate had all been reserved in advance for everyone who had made the trip possible via a crowdfunding website. We even managed to deliver some of the promised goods directly to supporters who lived on the route. They also teach sailing, and guest crew can sail with them within Europe or all the way to the Caribbean.